​add a pin to the map! Kenzie Rhines doesn’t have a home—she has too many. Her dad’s job keeps them flying around the country, which means “home” is whatever fancy hotel they’re currently staying in and “school” takes place 30,000 feet in the air. And since it’s just the two of them, she has no choice but to be his travel partner. Kenzie loves the constant adventures, but she wouldn’t mind planting her feet in one place for longer than two seconds, having her own bed, and maybe even finding a best friend she can talk to. 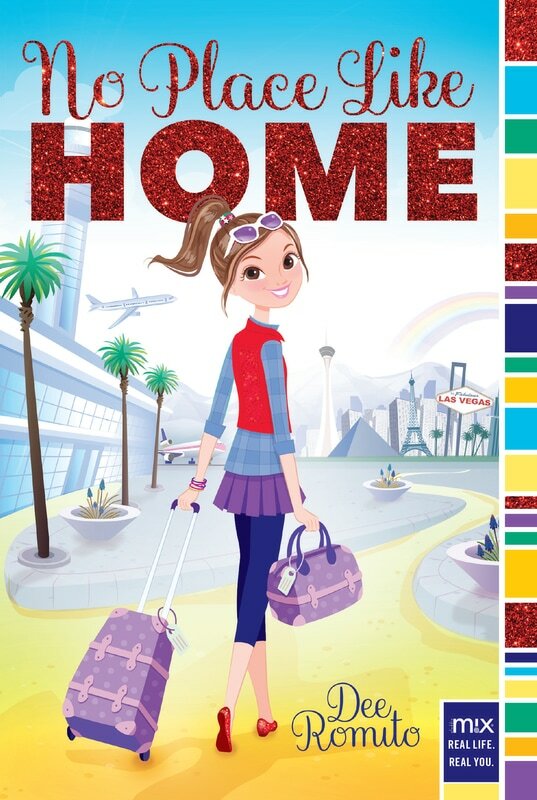 When Kenzie’s dad surprises her with the news that they’ll be in Las Vegas for an extended business trip, she’s thrilled he wants to enroll her in a local middle school while they’re there. And even though it's the longest she’s been in one place in years, Kenzie knows it’s only a matter of time before she’s on the move yet again. So, for the first time in her life, she decides to take some risks: why not let the cutest boy in school know she’s got a bit of a crush on him, give it a shot and audition for the school musical--The Wizard of Oz (her all-time favorite movie), and run for VP of her class? Thanks to her plan, Kenzie discovers a courage she didn’t know she had—and finally feels like she belongs somewhere. But when things start to get complicated, Kenzie discovers that she’ll have to face the consequences of everything she’s done since her arrival--and that maybe home isn't necessarily a place on a map, but where your heart is.